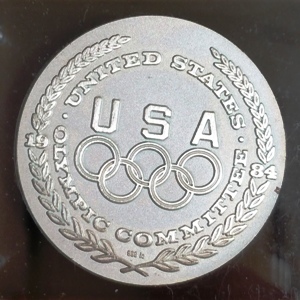 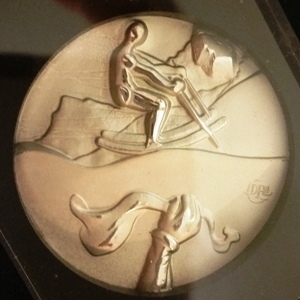 Eleven coins were created for the 1984 Los Angeles Olympics and again in the 1988 Olympics in Calgary. 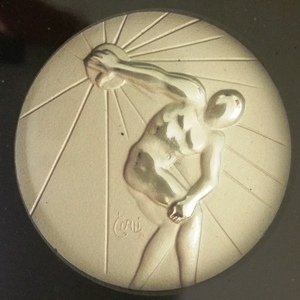 Of these the images used various sports were displayed: Gymnastics, Cycling, Wrestling, Track and Field, Soccer, Skiing, Archery, Equestrian, Pole Vaulting, Diving, and Discus. 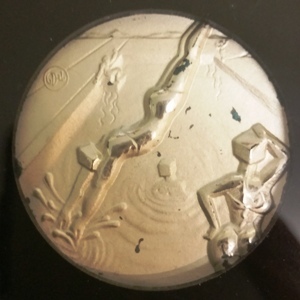 These images are true to Dali’s style and show a combination of surrealism and cubism to create a set of cohesive images. 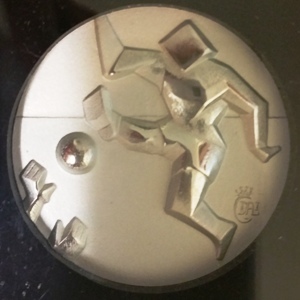 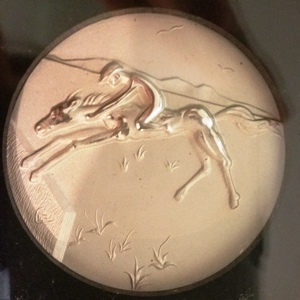 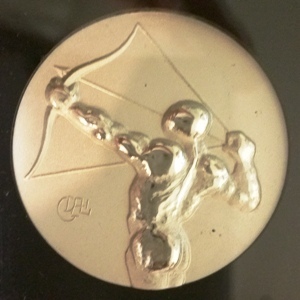 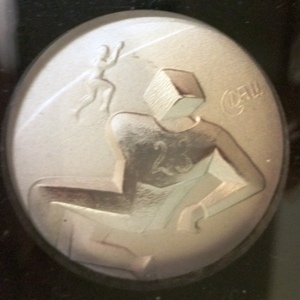 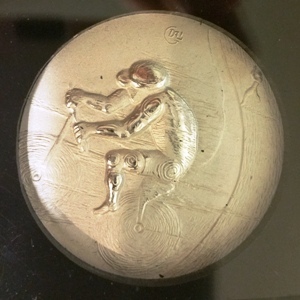 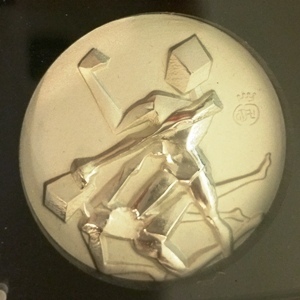 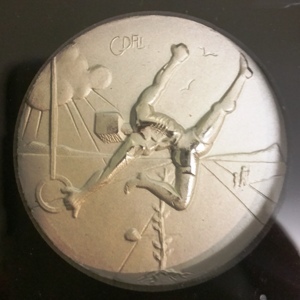 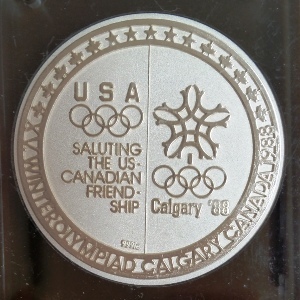 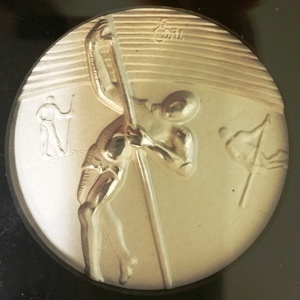 Each coin has a unique Dali signature; the wrestling coins signature also has a small 4 pointed crown hovering just above his name. 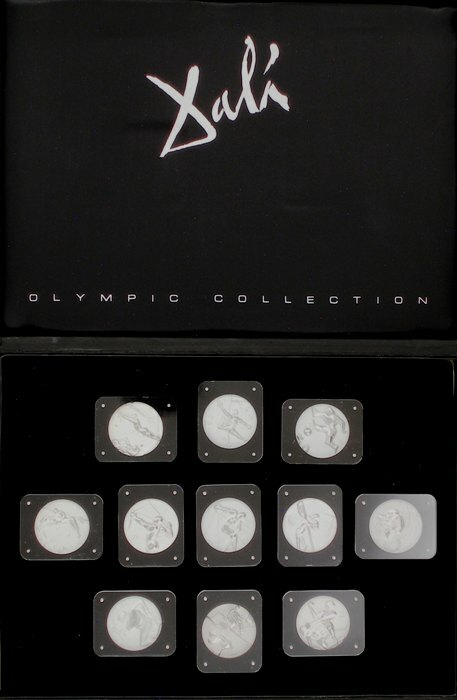 Featured below is an image of a complete box set from 1984. 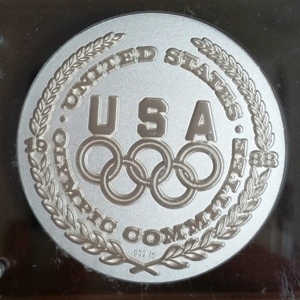 ***Individual coins are available for sale: message us for details!